“The Big Love Has Died” is a BIG ballad. Sweeping strings. Hopeless lyrics. A chorus that crescendos to a high, before an unexpected drop. You try to be adult about [a breakup], be mature and objective and positive about it, but unfortunately that’s not the reality at the time. When that wound is still fresh your immediate reaction is to be damning and final, to want closure, to forget, to move on. To live in denial. That is the immediate emotional survival mechanism. I wanted that song to capture that in a way that people could relate to it. 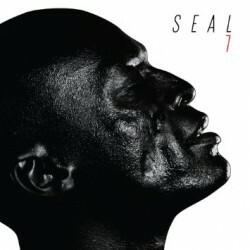 I love the honesty that Seal sings with in this song. Whether it’s about his divorce or a break-up with his high-school sweetheart, it’s a truthful, yet tasteful, take on the sadness and hopelessness that comes from a failed relationship.